A quick Friday update. Well I took a trip to the physio yesterday on the recommendation of my pilates instructor as he thought I wasn’t moving very well. It is a case where listening paid off – often the case, you think I would have learnt this by now. Anyway I have been told to stop running again for 2-3 weeks and been given exercises to increase my flexibility. Feels like 1 step forward 2 steps back but at least I am allowed to cycle and swim plus hopefully this will make me a better runner in the longer term. 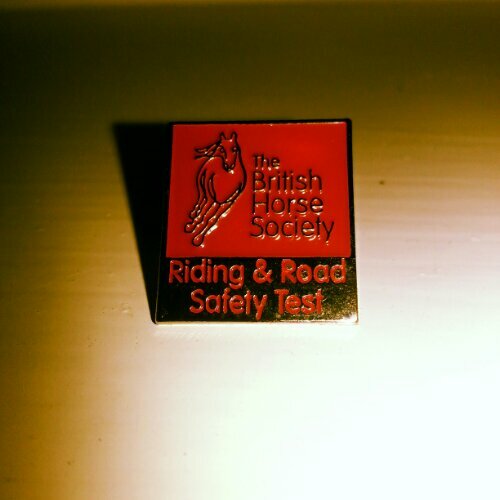 On a riding related note I have my mock riding and road safety exam on Sunday, wish me luck as the weather looks awful! I have MJ who I rode for a trip round the stubble fields last week, I think we work ok together but I need to work on my observations more. I have been practising while cycling this week so fingers crossed that helps. Will give you the rundown next week, have a wonderful weekend folks! 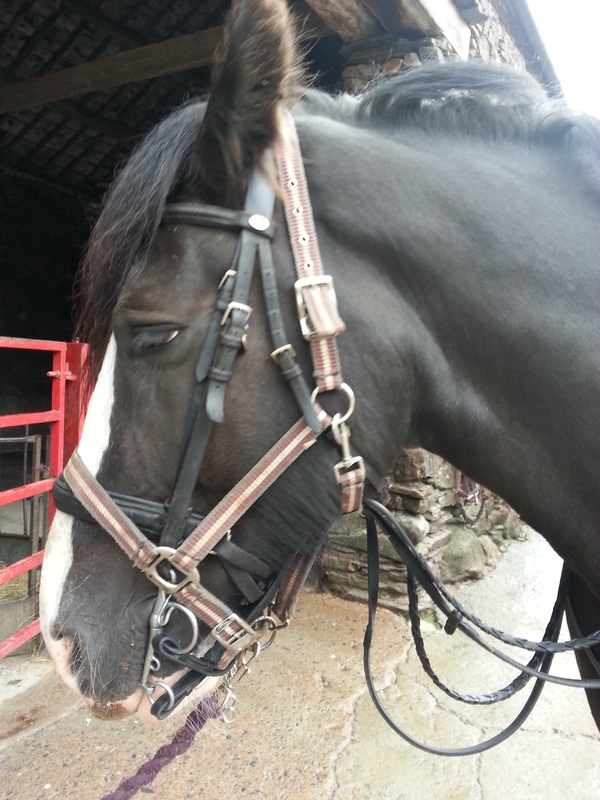 So here it is, the review that I promised on Cumbrian Heavy Horses. Now rather than just doing a straight review I will warn you now that this will also include my less than stellar performance on the beach. I want to record this not only to show how brilliantly Annie and her team dealt with me but also to remind myself of what happened and how I reacted to it all. It still makes me angry with myself thinking of it now but I want to record it. Thanks for reading this one and as always comments are really welcome especially to let me know if you want other things covered in my reviews. 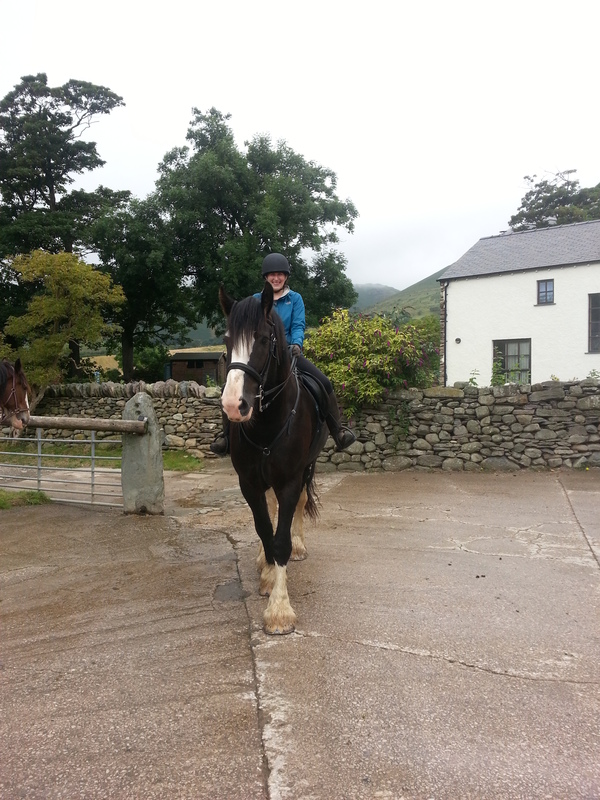 So on the Tuesday of my week in the Lakes I had booked for a half day beach ride with CHH. I have done this ride before and I was looking forward to it especially to help me get over the hiccup from my last hack. As always there was a great welcome, we were to be a group of seven including the owner of CHH Annie who would be our leader. Sitting in the small but friendly cafe that they have at the stables the ride was fully explained to us. Annie went through everything which helped to allay my nerves, I find that I do trust Annie and the team at CHH. The horses are boxed to the beach – which means more time on the sand! A nice touch was that we were assigned horses before we headed down. We were also asked who was nervous which I appreciated and the horses traits were discussed to help everyone get a good match, I was given Mac, a Clydesdale. Beautiful beast and he was a true gent, most of the time which makes what happened later even more difficult for me to work out. Once we were down at the beach and started to unload the horses we began to gather a fair amount of attention, Annie had warned us of this so we all made sure to ask people to keep a wee bit of a distance purely due to the large feet of the horses. We set about all mounting up – we had to bring a mounting block down with us getting on a heavy horse from the ground is near to impossible 🙂 We were then asked to walk around the car park, getting used to the horses and in the case of myself getting in the way of some lovely people trying to park – oops my lack of spacial awareness strikes again! Mac seemed to be responding nicely to me although as always wanted to try to stick with his friends, I managed to keep him listening to me though. Off we went! The moment they set their hooves on the beach they were all sparkier, their heads went up and they became more animated. We did individual trotting exercises to ensure we were in control, then we did a couple of group trots with the strict instruction no one was to pass Annie, another test of our ability to ensure the were listening. I was feeling pretty good with Mac, he seemed to really stride out in walk but respond nicely to me to slow in the trot. 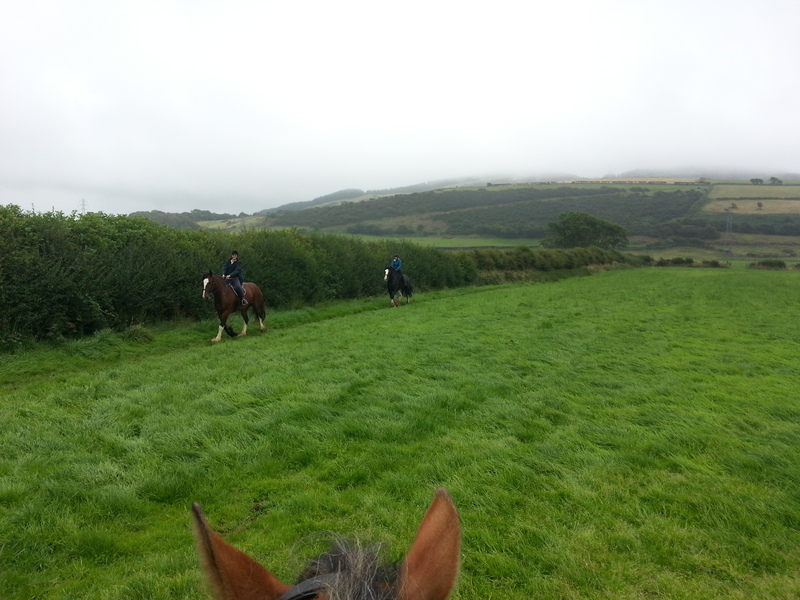 Then we did a couple of canter exercises, trotting away from the ride then turn and canter back. Frustratingly for me Mac wouldn’t canter for me instead he just extended his trot – I did feel a little nervous which is probably why I didn’t gather myself and ask again. So Annie came with me and we immediately canter, this made me a bit angry with myself as I don’t have these problems in my lessons but hey different horse, a wee spot of nerves and these things can happen. So off we went on a nice collected canter which was lovely, it really does feel like riding and armchair at times and ‘light seat’ is pretty easy on these beasts. We did a few more canters each one quite collected and calm. We were out trotting and walking through the sea, pausing to do some photos. Okay time for home! And at this time the first wobble with my nerves happened, essentially I halted Mac and didn’t release the tension which meant he took it as me asking for rein back so he started backing up. I panicked but once Annie explained what I was doing I felt okay again and decided to do the gallop up the shingle bank. It is just a short gallop and we were all instructed to whoop and shout to encourage them up the bank. It was great with Mac and I heading straight over the top into the dunes although I am still not sure we won. So time for home! I knew what to expect but phew! Acceleration like a sports car initially then slows to a van then a tank 🙂 It was great but then didn’t feel I had control once out of the gallop with Mac not responding to me and trotting to get to the front of the ride. This sent my nerves rising but Annie and the girls I was riding with were brilliant, getting me back under control. So off we went again. 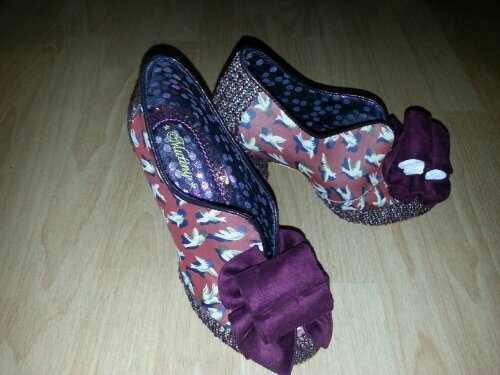 Woo hoo- honestly I was shouting and whooping! Urging Mac onwards, we were at the front of each gallop although we were passed by everyone on each go – we had a lot of initial oomph but not enough to keep it going! Then another two gallops and on the last one Annie wooped passed us all, when you have a leader enjoying themselves so much it is totally infectious. The whole ride until this point was brilliant fun. But then! I don’t know what happened but I was feeling totally stressed. I felt I had no brakes, Mac just kept trotting. All the girls were lovely, trying to calm me down but I just wanted off. In the sea Annie talked me round but I was in tears, a full on panic attack – it was horrible, I haven’t had one in years! I stayed on because else I would have hated myself but the full credit should go to Annie and the other riders. After I was off all the riders and Annie kept trying to remind me that I had done the whole ride, that I hadn’t given in to my nerves and that I could ride but I still wasn’t convinced and remained frustrated with myself so….I decided to do another ride with them. I really didn’t want to leave it like that. After the panic attack, good old Mac didn’t deserve that! So it was on the Thursday that I turned up to do a 2hr farm ride. When booking the ride Annie took the time to chat me through which ride she wanted to put me on and why, she also sweetly explained who I would be riding and what he was like. I still had my nerves and could feel myself getting a little panicky even coming into the yard but I did some controlled breathing and headed up to wait in the cafe where I met Brenda again their cafe manager who I want to say is absolutely lovely and a total gem, she was so nice to me after the ride on the Tuesday and chatted away on the Thursday morning, I doubt she knew she was helping distract me from my nerves but it was much appreciated. So then it was time to meet our ride leader for the day, that was Yvonne who had been fully briefed on my daftness and instantly made me feel better. I didn’t feel like she judged me at all and that was really nice. I also couldn’t have asked for nicer people to ride with in Jane and Rosie, Jane was back on a ride after a twenty year break while Rosie had been on the week long ride with CHH previously and was a confident rider. I was introduced to Zak, a beautiful shire horse absolutely huge but a very cuddly big horse. Once I was on the nerves were there but I had them under control. Yvonne talked us through everything and initially kept me directly behind her in the ride telling me to let me know if I started to feel a bit nervous. We headed out from the farm and into their practise fields where again we were assessed in the different paces to work out what we could do on the ride. The trotting back to the ride exercise was fine but the walk away I did from the other horses was a really wiggly line, honestly he kept trying to turn but he did listen to me. You always have to turn the horses then halt them before setting off back to the ride regardless of the pace and in previous years I have had difficulty with that (honestly Ollie and I were cantering on the turn) but Zak was perfect. I had double reins with him and I think that helped as I was concentrating on how to hold them and I believe it meant I actually rode rather than focused on my nerves. Again I failed to get Zak to canter, but I believe my nerves overtook on that one and I didn’t back up my initial ask Zak was quite laid back to he seemed to need the extra insistence. So Rosie came with me to help me canter back, well that worked brilliantly and started a great little team for the canters. 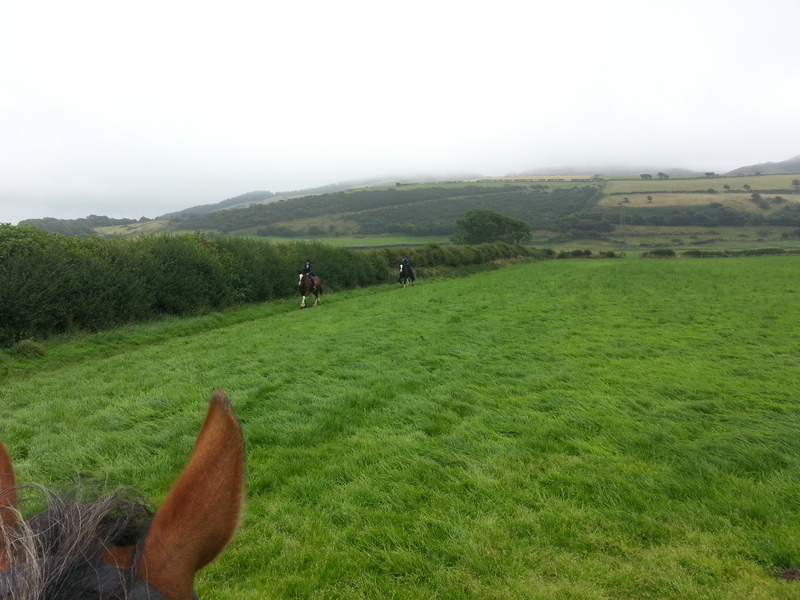 Rosie always checked I was ready then we set off in canters, haring about in the fields. I absolutely loved it, we had a good four or five canters. Here we come can you see us yet? At the last canter point I was beginning to tire and decided against doing th last canter which meant that Rosie had to try to keep her horse Miracle back while we trotted on. She did brilliantly but Yvonne decided that Miracle was becoming a little worried so told Rosie to just come on then warned me that they would appear behind Zak and I suddenly which might mean Zak would spook (absolutely nothing could be done about this) but by this point I was feeling really comfortable with Zak and the idea of him spooking didn’t phase me, at all and he didn’t do anything. I felt in control throughout the ride with Zak’s big and bouncy trot making me smile while his walk feels like he is wearing heels. 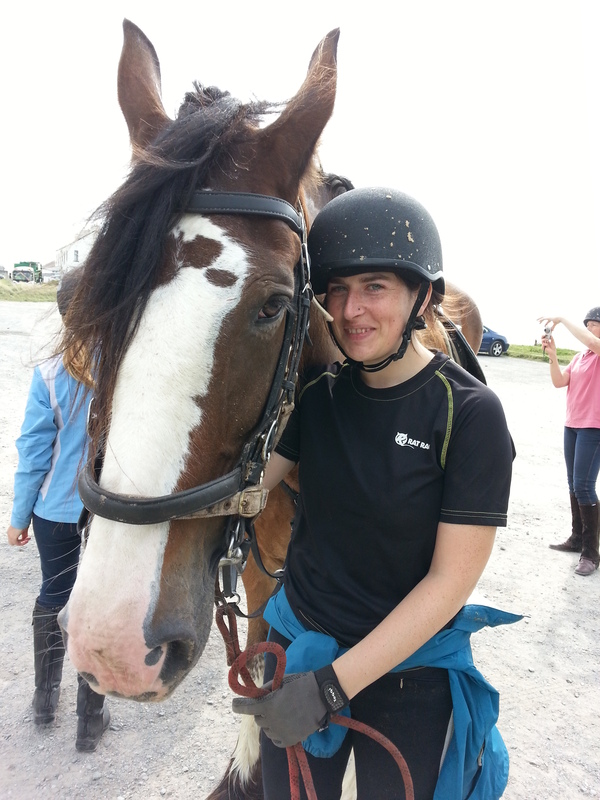 I loved Zak and he was the perfect horse to help me over the issues I experienced on Tuesday, can I take him home? At the end of the ride, do you think I could just walk off with him?? So a round-up. CHH is fantastic. The horses are brilliant and they will match you appropriately, they take time to ensure you can ride to the correct level and the horses are always put first which is the way it should always be! But it is also the people who make this place. It is rare that I could go somewhere where the people do not know me and receive no judgement on my panic attack and nerves. They were all unfailingly encouraging and kind, there were hugs all round at the end of each ride. I was constantly told that I can ride but I lack confidence in my abilities and told to focus on the positives e.g. 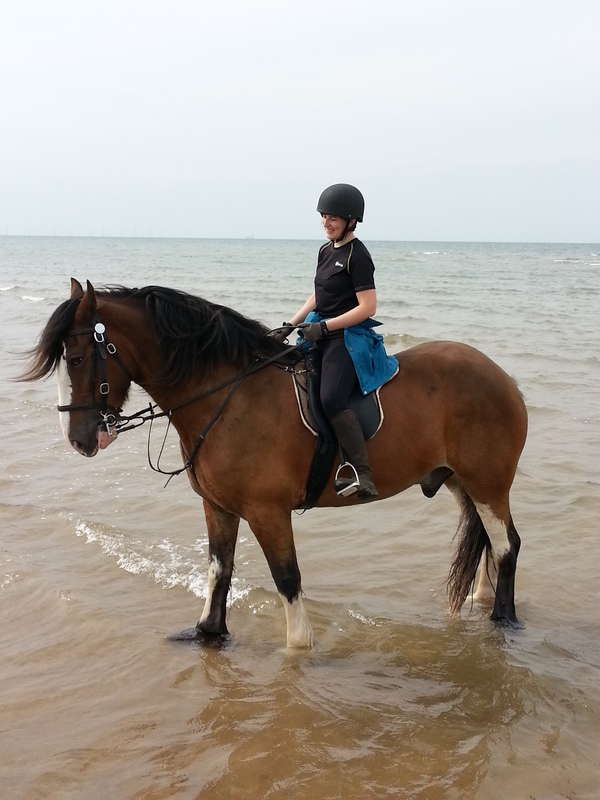 I did not get off, I did every gallop on the beach and refused to give up. I was also advised to investigate my nerves to help me progress and told that I would be welcomed on the 3 day Central Lakes ride – now that is a goal for next year. Thanks to everyone at CHH especially Annie, Yvonne, Rosie and all the other girls I rode with, I will be back but with less nerves!